Train driver Alexander Kaverin briefs the media on a blast in a train carriage in the St. Petersburg metro system on April 3, April 4, 2017. 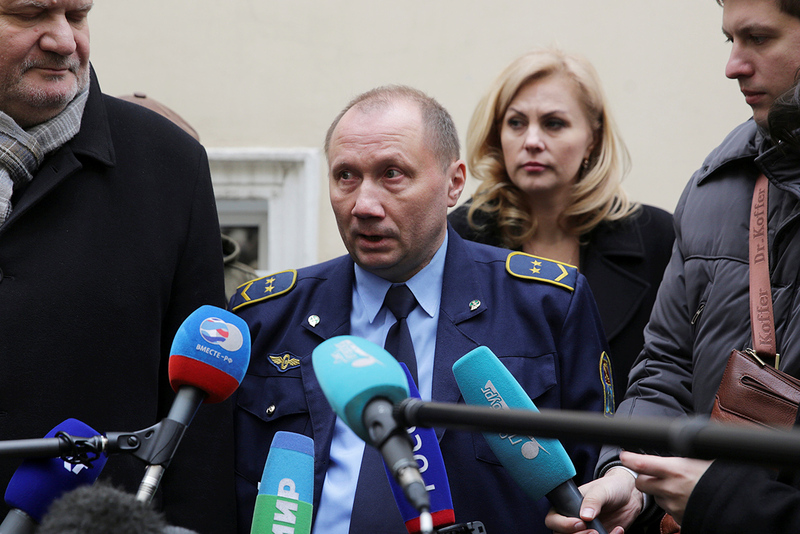 The driver of St. Petersburg’s metro train made the sole correct decision after a bomb went off to take the train to the nearest station thus saving many passengers’ lives, the chief of the St. Petersburg metro, Vladimir Garyugin, told the media on April 4. "The driver acted in keeping with the instruction. It was the correct decision," Garyugin added. As train driver Aleksandr Kaverin has testified, he did hear the sound of the explosion. Then verbal messages started pouring in via the passenger-driver hot line. "There was a bang a cloud of dust. I contacted the traffic controller and warned him of the incident. Then I started receiving incomprehensible verbal messages via the hot line. The alarm calls came from all cars simultaneously. I notified the traffic controller and made the decision to follow the instruction that describes the mode of action in such situations. I made the decision to take the train to the station, because the train kept rolling on normally. We realized what happened only when the train stopped. There was no panic", Kaverin said. Passengers promptly joined the metro personnel’s efforts to help those injured. An explosive device went off on a train between the Sennaya Ploshchad and Tekhnologichesky Institut stations at 2:40 p.m. Moscow time on April 3. A source in the law enforcement said the bomb was set off by a suicide bomber. The terrorist attack killed 14 and injured 49 others, who are now in hospital.